Amalau is a beautiful rural guesthouse in the mountains near the Natural Park of Gorbea in Zeanuri (Vizcaya). It consists of 2 apartments (located in the same building but independent from each other): one for 2-4 persons and another for 6-10 persons. Apartment A is about 140 m² and has 3 bedrooms with bathroom, fully equipped kitchen, a big living room with dinning room, chimeney and tv, and a big terrace with access to the garden. Apartment B is about 50 m², has a kitchen, living room with tv and chimney, 2 bedrooms and one bathroom. 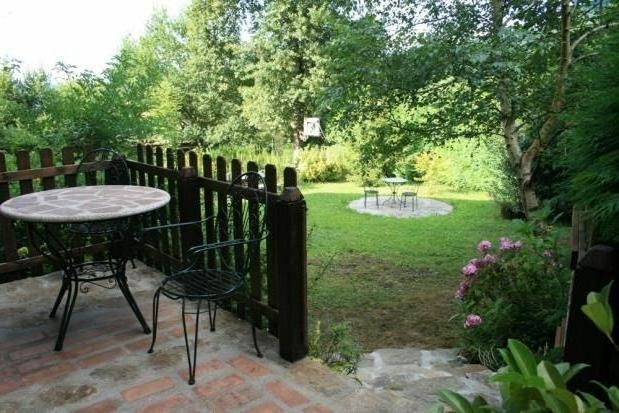 It also has a terrace with access to the garden.